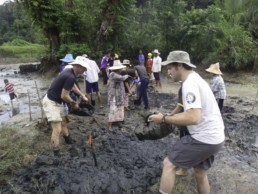 Across the Asian coast, there are an estimated 450,000 ha of abandoned shrimp ponds in need of restoration. That’s nearly the size of Trinidad and Tobago. 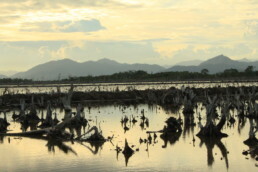 Over half of the world’s mangroves have already been destroyed, for a variety of reasons, including farming, coastal development, and mismanagement of resources. In Thailand, where MAP Asia is based, the main cause of the destruction has been shrimp farming, which boomed in 80’s and 90’s but ultimately proved unsustainable (most farms only functioned for a few years). Our vision is to see these ponds restored back to lush, productive mangrove forests, with the help of the local people – ensuring that they will benefit from the restorations, and helping to ensure their long-term sustainability. 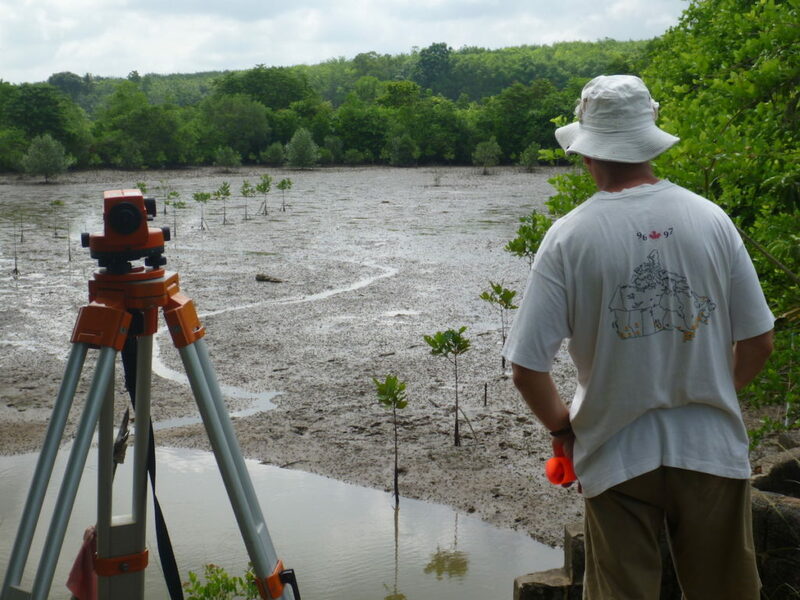 Over the course of more than a decade, MAP Asia has undertaken 13 demonstration sites of abandoned shrimp ponds across the Andaman coast in Thailand, using the CBEMR method to successfully reestablish healthy, biodiverse mangrove forests where once there was simply barren land. 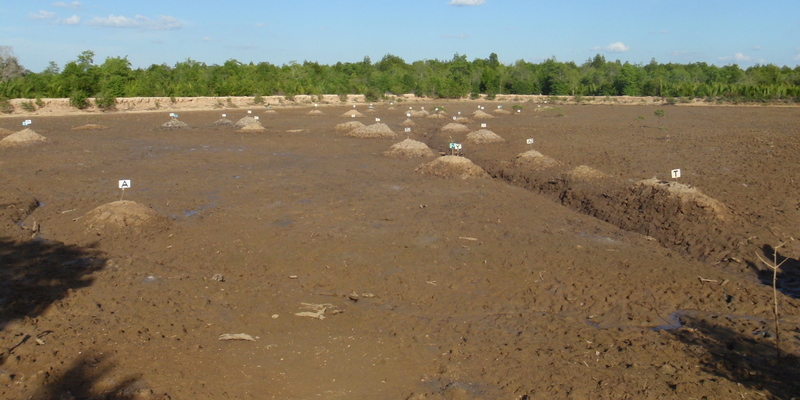 The advantages of the CBEMR method are readily apparent in such a context, where mangroves often do not regenerate because the proper conditions necessary for their survival have been greatly altered by the conversion to shrimp farms. By restoring the natural conditions to an approximation of their original state, mangrove forests are then able to regenerate naturally, leading to a more biodiverse, established forest. A lot of research and analysis is involved at the start of any project. Knowledge of the local species, waterways and tides, the general context, and nearby communities are all taken into consideration when developing a plan for restoration. 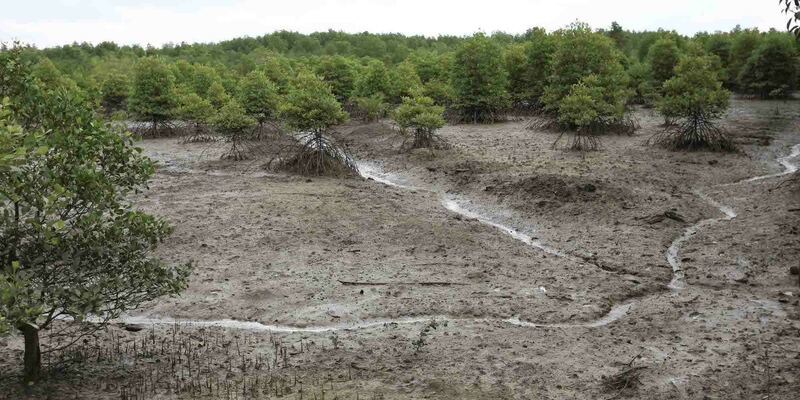 Any site that has experienced mangrove loss and clearing will have had its natural systems and terrain affected. The waterways need to be repaired and reconnected with the surrounding areas, allowing a more natural flow of hydrology to be reestablished.  This method of restoration ensures that seeds and nutrients are naturally distributed and trees grow in their appropriate zones, guaranteeing richer biodiversity and a truly natural mangrove forest, with all its benefits. Key to this method has been the involvement of local communities at every stage of the process, and increasing their capacity to take stewardship of their local environment. 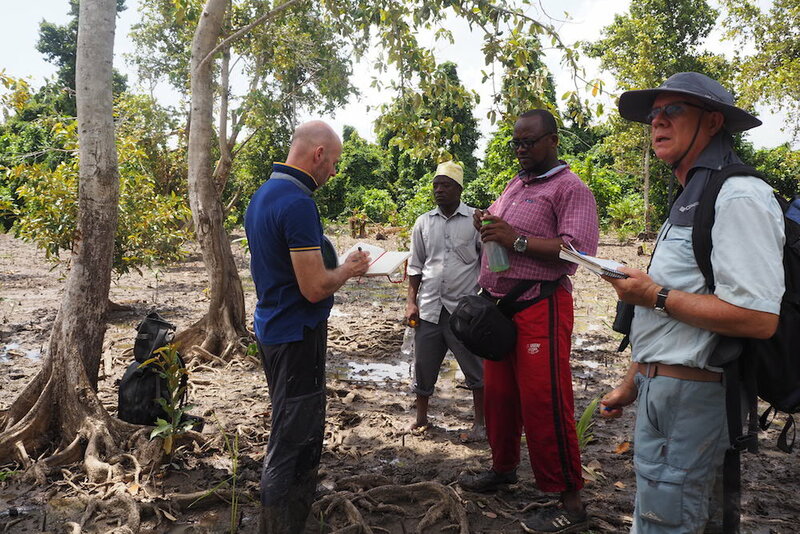 Monitoring and training workshops are held regularly with community members throughout the project to ensure a successful restoration while developing sustainable, locally-led conservation initiatives to benefit the communities and to take pressure off of existing mangrove forests. This empowering process creates a sense of ownership, and ensures that the restoration process will not be a short-lived endeavor, but instead will continue on sustainably into the future. 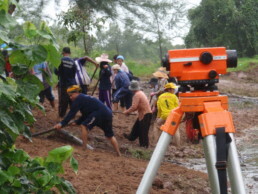 Thanks to the success of the demonstration sites in Thailand and elsewhere, other organizations have begun adopting the CBEMR method as a more secure and successful manner of mangrove restoration in other locations around the globe. One of MAP’s main services is to provide CBEMR training to organizations undertaking their own projects. Some of these have resulted in incredible success stories – for instance, after one training with EcoViva in El Salvador, CBEMR was adopted as the main restoration method policy of the country, and has since led to major restorations in places like the Bay of Jiquilisco (restoration process pictured with satellite images below).